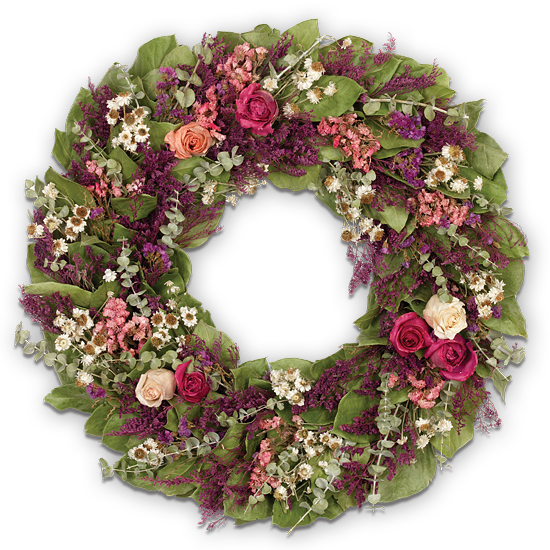 Crafted with so much care and attention to detail, this wreath swirls with an artistry everyone finds simply mesmerizing. Each layer is woven so perfectly and each component is chose so carefully, ensuring colors pop, patterns emerge, and texture can be seen at every turn. The twig base serves as a sturdy backdrop for the naturally preserved flora, gatherings of eucalyptus leaves, lavender sinuate, and white ammobium all making their beauty well known. Groupings of perfectly preserved cream and pink roses do just what roses do, adding an air of refinement and sophistication that all will surely notice.